We've partnered with West Elm so you can fall in love with the Leesa mattress before you buy it. With Leesa products in select stores around London, you can climb into bed, kick your feet up and experience a Leesa mattress in-store. Leesa is a company built for purpose. We donate one mattress for every 10 sold and plant one tree for every mattress sold. 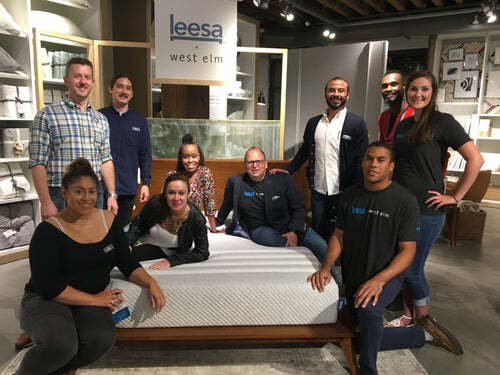 Together, in the last year alone, Leesa and West Elm donated 1,500 mattresses across the United States. Swimming legend Michael Phelps needed a mattress to fit his 80-inch wingspan. Leesa + West Elm delivered, literally, with this custom-made Sapira by Leesa mattress.